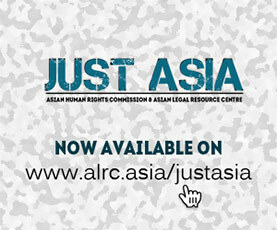 The Asian Human Rights Commission (AHRC) regrets to inform you that we have received information of detainees being tortured and ill-treated by prison officials in Abepura Prison, Papua province, Indonesia. According to the information received seven persons were tortured from February 1, until February 5, 2009. They were reportedly beaten and put in an isolation cells where they were deprived of food and water for four days. Six other detainees at Abepura Prison, who like Mr Tabuni are political prisoners, reacted against the unprovoked beating and filed a formal complaint with the director of the prison. Following the complaint the seven prisoners were subjected to torture and ill-treatment by the prison guards. The treatment is reported to have included: punching; slapping of the eye; kicking with jackboots; as well as slaps about the face and neck. Subsequently, after the severe beating the six prisoners, along with Mr. Tabuni, were transferred to an undersized cell without windows. The cell was unhygenic and there was human excrement on the floor from the former inhabitants. The victims were placed in severe danger as the prison personell left them in the cell for four days without access to water or food. Following this period of inhumane treatment 16 police men came to the prison on February 5, 2009 at 8am, to transfer the victims to the police prison in Jayapura, Papua province. During the transfer, the seven prisoners were not allowed to wear cloths except for their underwear. Mr. Buktar Tabuni was originally arrested on December 3, 2008 after having organized a peaceful and lawful demonstration on October 16, 2008 in support of the International Parliamentarians for West Papua in London. Mr. Tabuni was charged with the crime of treason despite the fact that the demonstration he organized was in accordance with domestic laws regulating freedom of expression. (For more information on Mr. Tabuni’s arrest, please see AHRC-UAC-262-2008) Mr. Tabuni has, until February 1, 2009 been kept in police custody at the request of the public prosecutor while awaiting further developments in his case. Like Mr. Tabuni, there are many political prisoners and prisoners of conscience. Over the last years many Papuan activists have been imprisoned for participating in protest actions. Since Indonesia assumed sovereignty of the western part of the Papua island through a contested UN supervised referendum in 1963 (often referred to by Papuans as “the Act of No Choice”), the provinces have harboured a strong independence and human rights movement. This movement is often unlawfully repressed by the police, the military and the courts. Political activists are frequently jailed, tortured, harassed and even killed (see Urgent Appeals: AHRC-UAC-262-2008; AHRC-UAC-261-2008 and AHRC-UAU-071-2008 for examples of such cases). Please write letters to the concerned authorities urging them to ensure that this case is thoroughly investigated and the legal representatives of nine villagers provide legal advice to them. Please be informed that the AHRC has written separate letter to the UN Special Rapporteur on the question of torture calling for intervention in this matter. I am disturbed to learn of the torture and ill-treatment of seven persons in Abepura prison, Papua Province, Indonesia, from February 1, until february 5 2009. After Mr. Buktar Tabuni was transferred to Abepura prison he allegedly was immediately beaten by prison officials. The beating caused a severe injury to his eye, and he is now unable to see properly. Six other prisoners observed the beating and reacted by filing a formal complaint to the director of the prison. Following this complaint, the six prisoners, along with Mr. Tabuni, were brutally beaten by prison guards. The beatings included punching; slapping of the eye; kicking with jackboots; as well as slaps on the face and neck of the victims. windowless and was littered with the excrement of former prisoners. First, I ask that you immediately drop the charges against Mr. Tabuni, and release him from police prison. He is, along with several of the other victims, a political prisoner charged under the absurd laws criminalizing the freedom of expression of a large amount of people. I want to draw your attention to the need for revising the Indonesian penal code with regards to these laws, in particular article 106 of the Indonesian Penal Code, which is frequently applied to subjugate political activists’ freedom of expression in Papua. Further, I call on you to hold those prison officials accountable for the crimes they have committed. They should be prosecuted in an impartial and transparent manner, and be sentenced to a punishment proportionate to the crimes they have committed, namely torture and cruel inhuman and degrading treatment. A proper punishment for torture would be at least several years of imprisonment. Failure to prosecute and punish the prison officials responsible would signal your compliance with these crimes, and would further add another brick in the wall that is the virtual impunity of state officials in Indonesia today. I call on you to ensure that the charges against Mr. Tabuni be dropped, and that the prison officials be held responsible for the crimes they have committed.